There are huge buildings like Arc de Triomphe in the “Osaka North Area” around JR Osaka Station, private railway and Umeda station of subway. 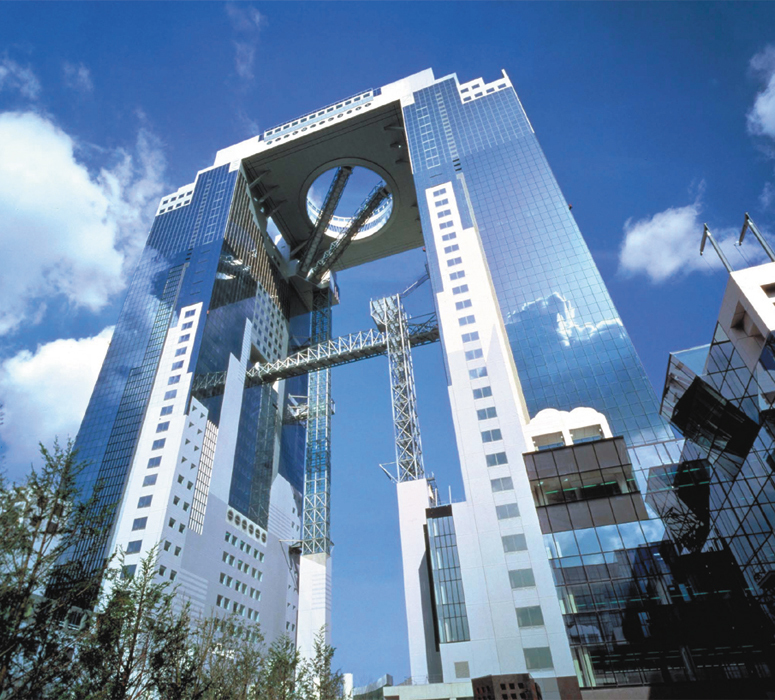 This is Osaka Umeda’s landmark “Umeda Sky Building”. This is the best view from the “Kuchu Teien Tenbodai” (The Floating Garden Observatory) which is capable of going outdoors with its unique shaping, it is very popular among tourists from overseas as well as from domestic. 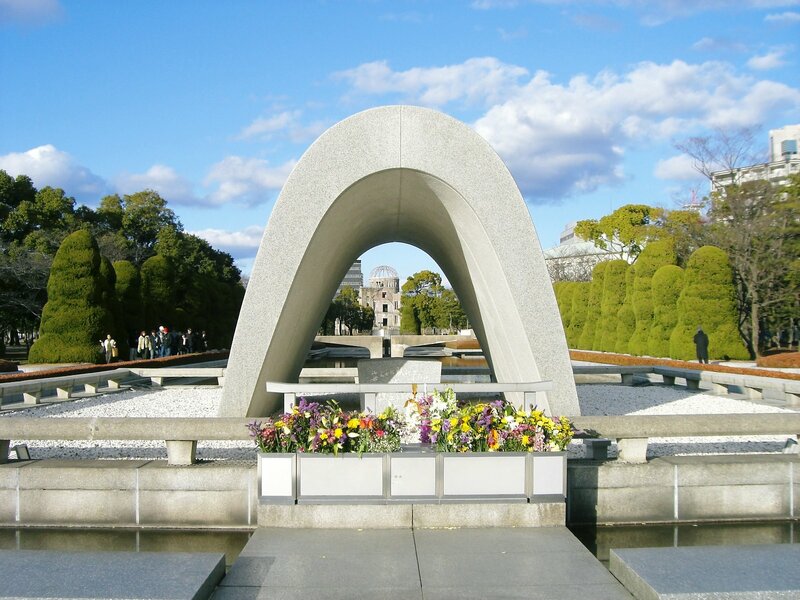 It was almost as if it was “Arc de Triomphe of the future”, and it was ranked only among the Japanese buildings in “the top 20 of the world’s architecture” selected by a British famous information magazine in 2008. It is a connected skyscraper with a height of 173 meters connecting two buildings on the east and west with 40 floors above ground and 2 underground story. It is a complex that combines entertainment elements such as offices, showrooms and event halls, observation decks and restaurants, movie theaters in shops, and more. 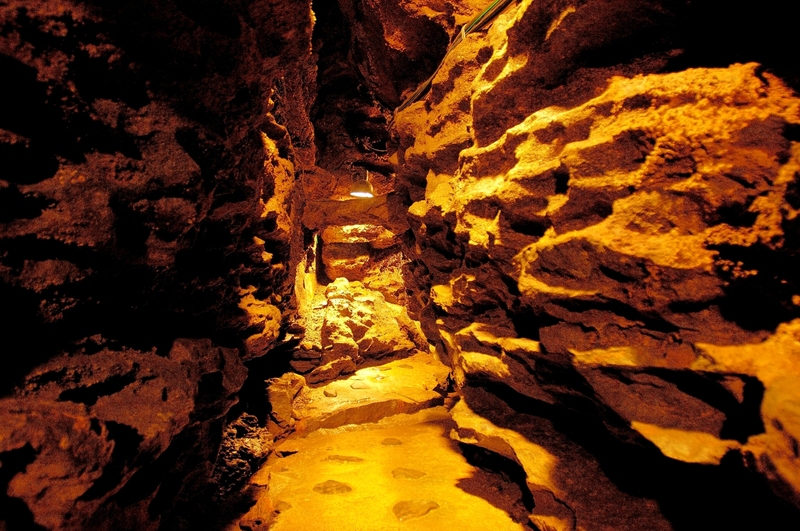 The 40th indoor observation floor which is about 170 meters above the ground, the walls in the north-south direction are glazed from the ceiling to the feet. Even when it is hard to get out on the roof with a strong wind, you can sit down in the chair and enjoy the scenery slowly. 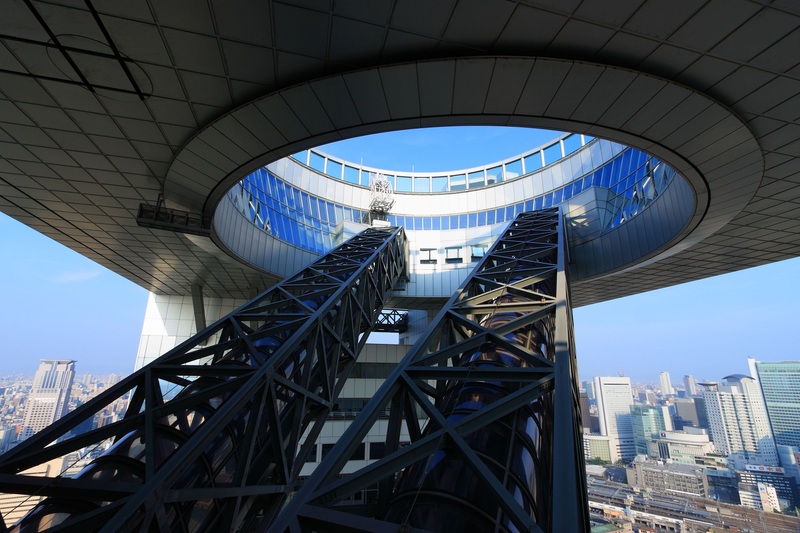 On the upper floor of the 40th observation floor there is the “Sky Walk” roof gallery with a height of 173 meters. The Sky Walk is a corridor that surrounds the round hole in the middle of the Floating Garden. This boasts the highest in Osaka as an observation platform that can go outdoors. 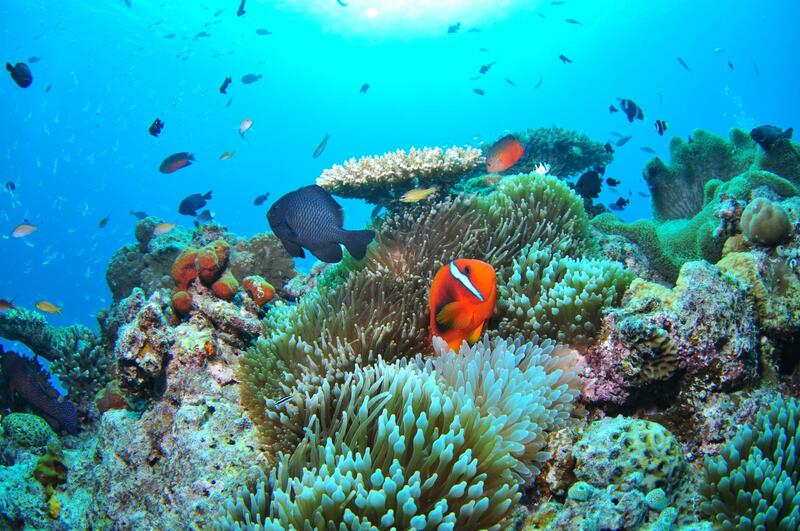 There is rare opportunity to feel the wind of a sky of 173 meters above the ground and see the view of 360 degrees. Also, looking up at night Sky Building from the ground, the light around the hole in the air garden is very impressive. A building designer says, “This hole imaged the trace where the spaceship flew away.” There is also a different force from daytime. 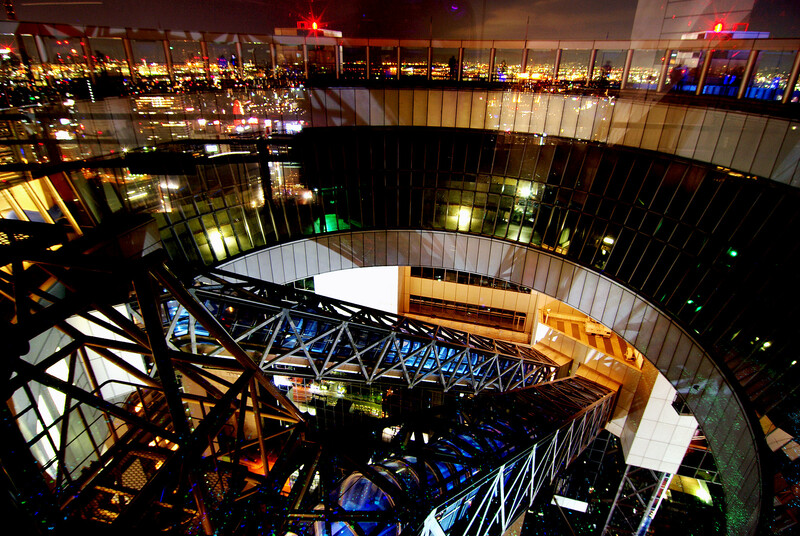 The “Umeda Sky Building” with the floating garden is known worldwide for its dynamic and outstanding figure. In 2008, it was introduced in the British newspaper “THE TIMES” as the “building of 20 to represent the world” with Taj Mahal and the Sagrada Familia, and it is also recognized by the foreign tourists and overseas architects, it has been attracting attention as an Osaka landmark to visit. “The Floating Garden Observatory” is a superb view spot that is approximately 170m above the ground to be able to look around cityscape of Osaka to Awajishima. “The Umeda sky building” affectionately known as “The Triumphal Arch of Naniwa” is neo-futuristic skyscraper of two connections to soar in the city center of Osaka. In the only open type roof observation deck in Japan opening upward to the sky, 360-degree sky panorama extend before your eyes. 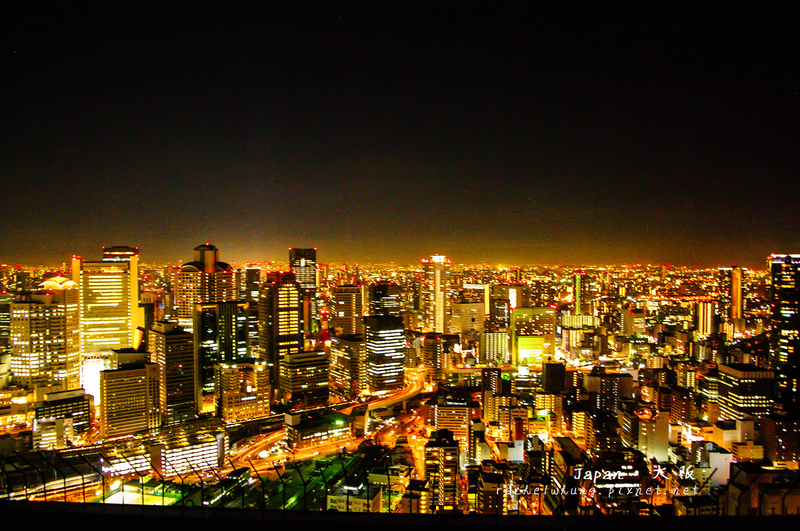 You can enjoy the splendid view of the town of Osaka like the beautiful setting sun which is chosen as “100 selections of Japanese setting sun” and the night view of 1 million dollars. 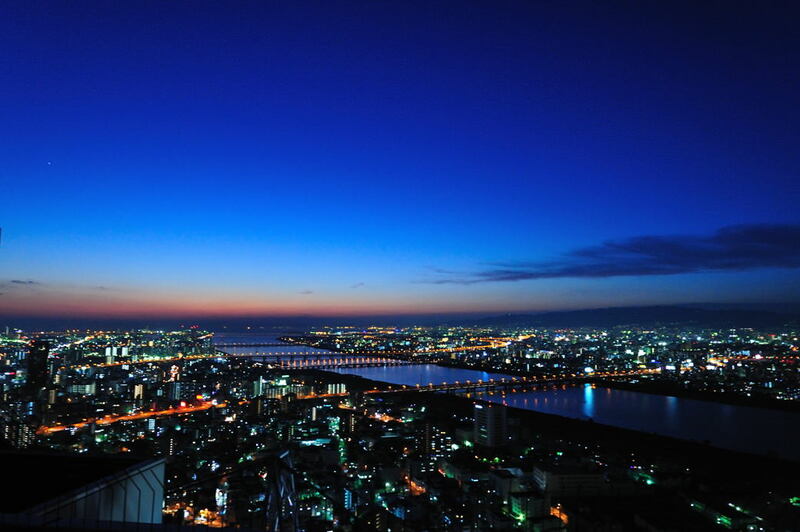 There are the “Cafe sky 40” where you can relax slowly while enjoying beautiful scenery from the observation deck located on the 40th floor, and the “Shop sky 39” assorting a stock of the souvenir of the specialty of Osaka including original goods located on the 39th floor.